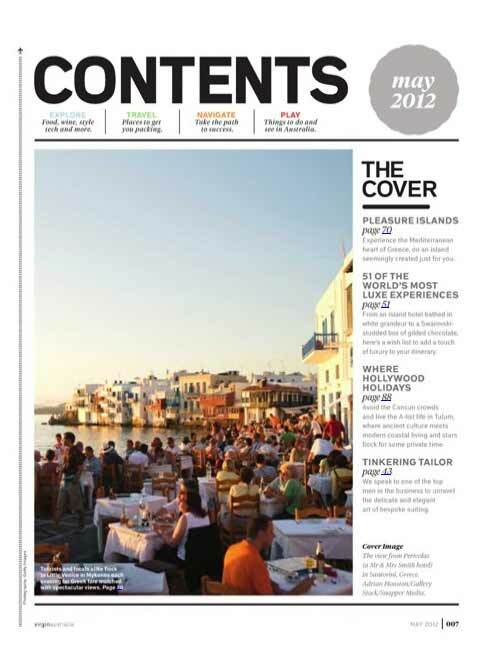 The magazine of Virgin airlines, Virgin Australia Voyer features Mykonos and the cyclades (page 7 and 72-73). With picture-perfect towns and breathtaking ocean vistas, the Greek islands are the epitome of luxury European travel. And with 6000 of them dotting the Mediterranean, there is one for everyone.